In the twenty-first episode of Ampersand, editor in chief Kevin Larimer and senior editor Melissa Faliveno discuss the work of Ada Limón and Rebecca Solnit, two superstar authors whose new books are featured in the September/October 2018 issue of Poets & Writers Magazine. Limón is the subject of our cover profile, “The Poetry of Perseverance” by fellow poet Carrie Fountain, and Solnit’s new book, Call Them by Their True Names: American Crises (and Essays), is included in this issue’s Page One: Where New and Noteworthy Books Begin. 00:01 Ada Limón reads an excerpt of a poem from her new collection, The Carrying. 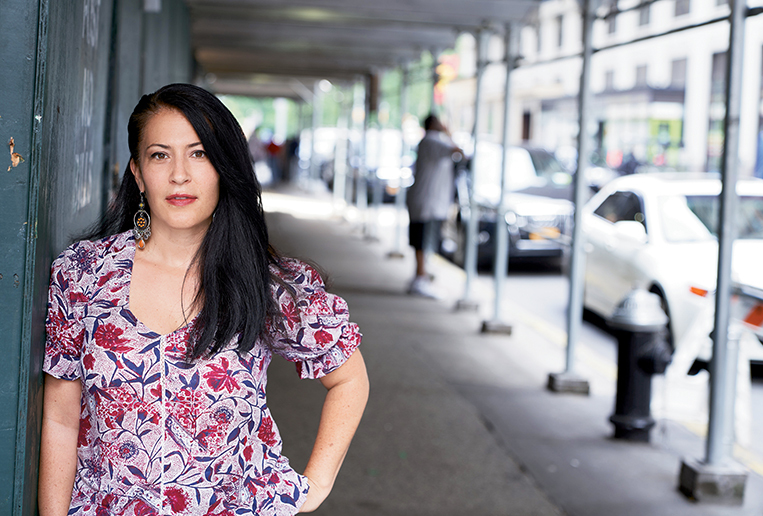 02:23 The cover of the new issue features poet Ada Limón, whose fifth collection, The Carrying, is out now from Milkweed Editions. As she tells Carrie Fountain in our cover interview, “This book feels driven by a serious engine. I’m not saying it doesn’t have hope. I do have hope, too, but much of the poems are written from inside the well with only a glimmer of light coming from the earth’s surface.” We reprinted a couple poems from The Carrying in the new issue, including what could very well be our first full-page excerpt; we also asked her to read a few poems from the new book, and she graciously agreed. 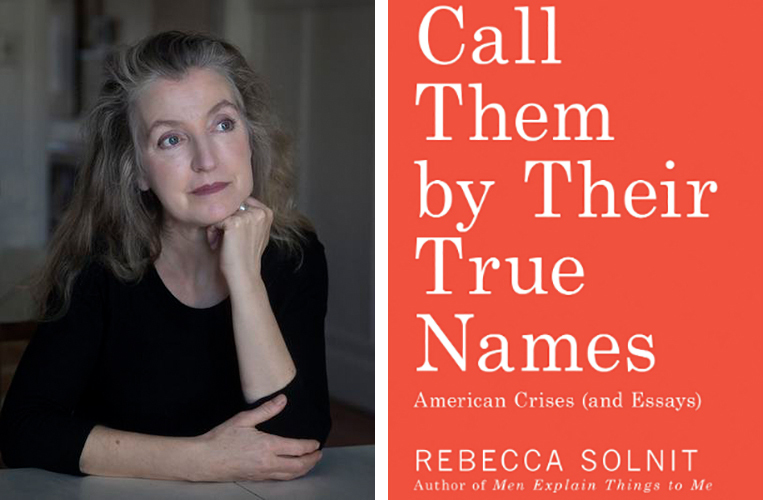 10:06 Rebecca Solnit reads from her new book, Call Them by Their True Names: American Crises (and Essays), forthcoming in September from Haymarket Books and featured in this issue’s Page One. A searing and super smart call-to-arms that takes on a range of social and political problems in America—from racism and misogyny to climate change and Donald Trump—Call Them by Their True Names features Solnit’s signature wit, humor, honesty, and incisive commentary, and beneath it all, a focus on progress and hope. 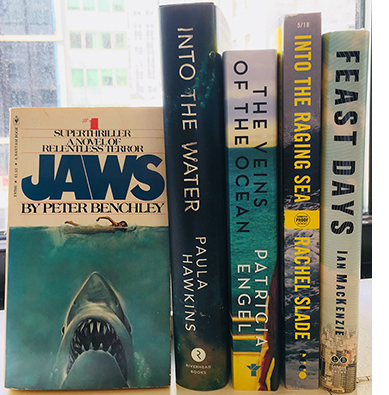 18:00 As August blazes on, the cohosts discuss vacation plans and beach reads, as Kevin geeks out over a 1975 mass-market edition of Peter Benchley’s Jaws (#1 Superthriller: A Novel of Relentless Terror) that he finally found after many years of looking, and Melissa goes in search of her own beach-away-from-the-beach read of Summer 2018. What are you reading this month? Send us some hot titles at ampersand@pw.org. This episode is brought to you in part by the Authors Guild, which supports working writers and advocates for their rights to fair compensation and free speech. Find out more about member benefits, including website building, educational events and webinars, and free contract reviews, by visiting www.authorsguild.org. Ampersand: The Poets & Writers Podcast is a production of Poets & Writers, Inc., and is edited and mixed by Melissa Faliveno. Music for this episode is provided by YACHT, Podington Bear, and The Pleasure Kills. Comments or suggestions? E-mail ampersand@pw.org. Rebecca Solnit reads an essay from her new collection, Call Them by Their True Names: American Crises (and Essays), published in September by Haymarket Books.